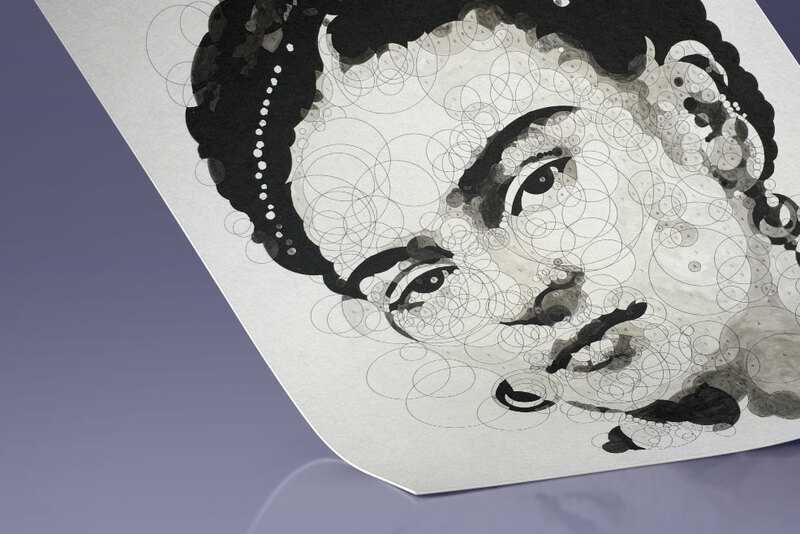 Thomas Pavitte's amazing 1,000 Dot-to-Dot books brought a fresh spirit to a classic pastime, and have sold hundreds of thousands of copies worldwide. 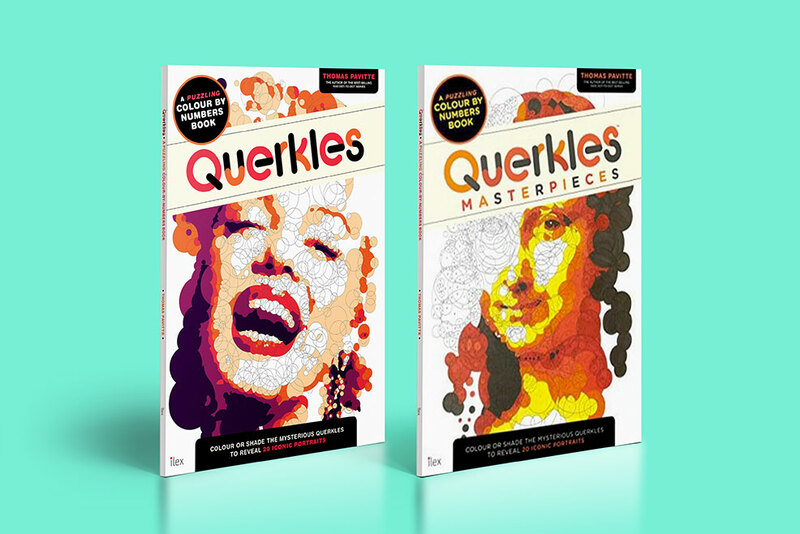 Now he unveils an even more original and amazing concept: Querkles: The Puzzling Colouring Book. 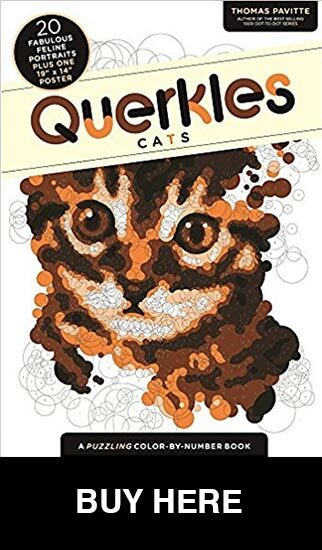 At first glance the Querkles are nothing but a seemingly random arrangement of indecipherable overlapping circles but cunningly hidden within each one is a famous face waiting to be revealed. You can keep it simple, and use one pen or pencil, or you can go colourful, with felt tips or paints: the principle is no more complicated than the colour-by-numbers books that kids love. The results, however, are unexpected, graphic and sensational and theres the thrill of discovery every time! 20 great portraits of well known faces, from the Mona Lisa to Che Guevara, will come to life and each can easily be removed from the oversized book, framed and displayed.